For better or for wore, this is our only viable choice for now and for some time to come. People are fond of saying, "The people who voted you in can vote you out just as easily". Quite a few people who are disappointed with Pakatan Harapan for failing to fulfill some of its promises have said variations of this statement. The problem with this seemingly logical statement is that it's just not true in the context of Malaysian politics at this moment. In order to vote a party (or a coalition) out of office, you will need to vote for some other party. The question is "which other party?". If you are not happy with Pakatan Harapan, who are you going to vote for instead? UMNO? PAS? MCA? MIC? As if any of those parties are even a serious consideration. The harsh reality is that we don't have an effective opposition in this country. So there is really no choice because the alternative is far, far, far worse than PH. Let's say you are not happy that PH is merely watering down repressive laws instead of abolishing them. So what do you do? Do you vote instead for the party that likes to use repressive laws? Let's say you are not happy that PH has been slow in charging people for stealing public money (e.g. 1MDB). Do you vote instead for the party whose leaders stole that money? You don't quite like the idea of Anwar becoming PM? Do you prefer Zahid? Let's say you are unhappy with the state of the Malaysian economy and you declare that if the government doesn't get its act together, you will move to the USA instead. That's all fine and dandy if moving to the USA was an option you had. What if the USA was not an option? What if the only alternative available to you was Somalia? Would you prefer to move to Somalia? Let's face it, we don't have a choice but to vote for PH because the opposition parties are so useless, they do not even merit any consideration. Is this a good thing? Of course not. It's better to have a strong opposition to keep the government on its toes and in check. 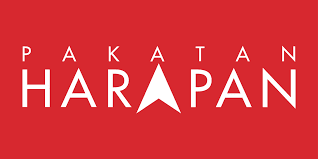 But if we had to have a one-party system (instead of two), I'd most definitely prefer Pakatan Harapan over Barisan Nasional any day of the week.